Gene doping may sound like a future of genetically modified athletes grown in test tubes, but it is a real and current threat to sports. Gene doping is included on the World Anti Doping Agency (WADA) prohibited list, defined as the transfer of nucleic acids and the use of normal or genetically modified cells with the potential to enhance performance. 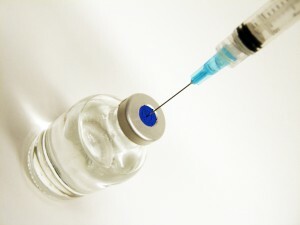 These possible methods for doping have come from the development of new gene therapy techniques. Gene therapy involves the insertion of a modified piece of DNA into cells to alter the cell properties. The DNA can be directly injected to the target area, injected attached to a virus which targets cells required or cells may be removed from the body to have the DNA inserted and the modified cells re-injected. Recently the EU has approved its first gene therapy, Glybera, to treat people with a genetic condition which inhibits the breakdown of dietary fat. As gene therapy techniques become more common the potential for doping increases. The therapy becomes doping when it is used to switch on and off desirable characteristics for sports performance rather than treat disorders. Targets could include the genes that boost muscle size or strength or produce erythropoietin (EPO). EPO has been highly abused by athletes for its ability to increase the amount of red cells in the body and hence the oxygen available to muscles during exercise. Tests for EPO rely on the ability to differentiate between the body’s natural EPO and introduced ‘foreign’ EPO. This test becomes redundant if all of the EPO produced in the body is natural, but boosted genetically. However, the new DNA may increase or decrease other proteins in the blood which may be monitored by testing. Currently there are no direct tests in use for gene doping. The tests are a lot more difficult to develop than for conventional pharmaceuticals. The genetic code may be tested for alterations or insertions but the test would have to be certain these are not inherited genetic traits but are the result of doping. The alteration of other proteins or gene activity could also be monitored using a ‘biological passport’ approach. This would track certain proteins over time and would flag significant changes as suspicious. Another method would be to work with the manufacturers of the therapy and insert a specific DNA tag into the molecule (similar to how genetically modified crops are labelled). This DNA tag could be tested using blood sample but would only be present with legitimate products whereas many abused drugs are produced illicitly. WADA have funded projects to develop tests which are said to be promising, but none are approved for use yet.